I can't believe another week has flown by. I swear my head doesn't know where it is right now!!! LOL!!! I shouldn't be laughing but it is the easiest thing to do. 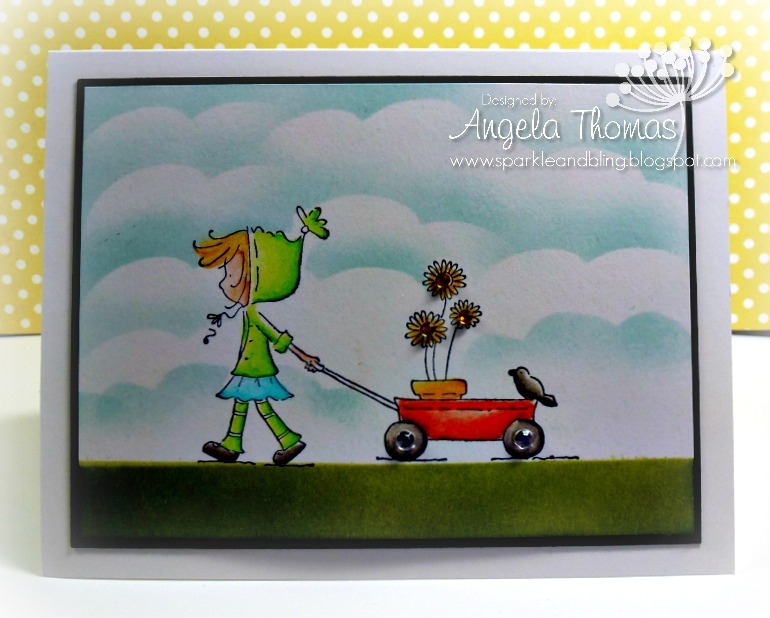 This week at Stamping Bella, our challenge is "Splendid Spring". We want to see your "Spring" creations. It doesn't feel like Spring yet on the West Coast lately but I'm hoping it will head our way soon. 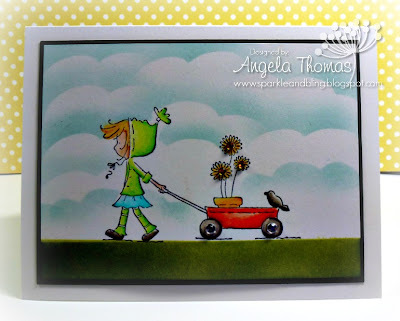 For my card, I decided to ink up Ramona and her Wagon". I decided to create a background with grass sponged in Old Olive and the sky in Soft Sky. The image was colored with Prismacolor Pencils and Gamsol. 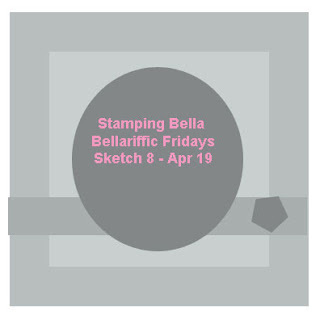 Email Emily (emily@stampingbella.com ) with your entries by the end of Thursday, April 18th to see your project on the blogabella and to be eligible to win $10 Bella Bucks to the Stamping Bella Store!! Gorgeous Angela! I love your colour combo, and those clouds are awesome!